Spear's insight forum 2018: What does the future of wealth look like? From robot-assisted investment to the impact of Brexit on riches, the future of wealth could take multiple courses. Numerous topics were on the table for discussion at a “£1bn meeting of minds” – also including how a Jeremy Corbyn government could affect the London property market. The event, hosted by wealth management magazine Spear’s in One Great George Street, London, yesterday played host to a glut of high-net worth individuals and executives from the investment firms that represent them and their affairs. 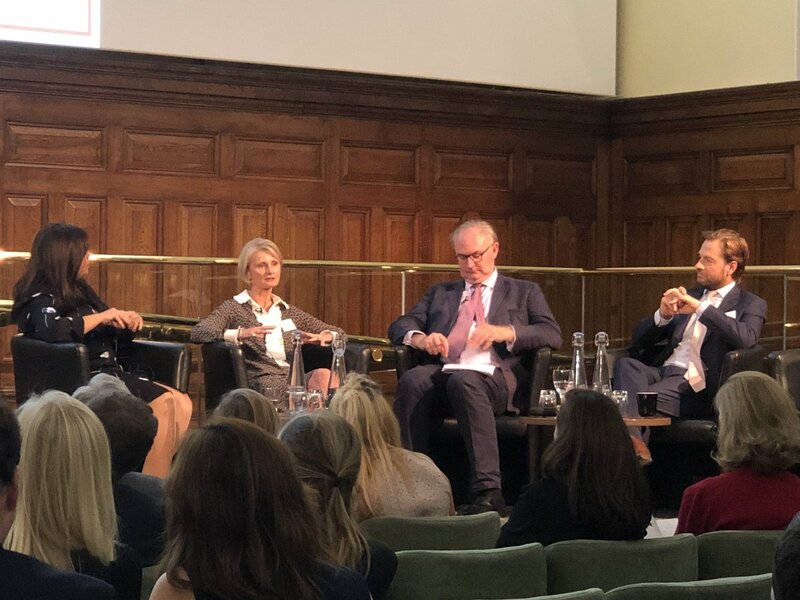 Multiple panels of expert speakers included Waterstones managing director James Daunt, Northern Powerhouse Partnership vice-chairman Lord O’Neill of Gatley and Dolfin CEO Denis Nagy. Here we break down the day’s proceedings, and take a look at some of the highlights from the Spear’s Wealth Insight Forum 2018. For those looking to expand their wealth, investment is a common choice as, despite its risk, it provides an opportunity to net huge financial gains provided you have the initial capital. Cordelia Bowery, investment manager at Veritas Investment, has experience at major investment firms such as Rothschild Wealth Management and Killik & Co LLP, where she advised private individuals, trustees and charities on their investments. Speaking as part of a panel on the topic of bionic investing – where “robo-advisors” help get young people into the world of investment before passing on to human advisors once matters become more complex – she explained the thought process of her clients. “We work with a lot of family-based clients, and lot of the time they really look to us to help them protect an existing pool of wealth, rather than build a new one,” she said. Fellow panel member Georgios Erchan, who has eight years’ worth of experience with Credit Swiss and now serves as head of sales for asset management firm Dolfin, explained how bionic investing arose in part due to 2008’s financial crash. “Post-2008, there was so much uncertainty over investing that people didn’t know what to do with their money and they didn’t want to take any risks if they didn’t know everything they needed to,” he added. Mr Erchan went on to describe the three things clients now expect in the wake of 2008 – efficiency, security and reliability. He said: “With bionic investing, clients can get all these things – it’s a one-stop shop. Iqbal Gandham, managing director at social trading and investment platform eToro, agreed and argued that the arrival of bionic investing was inevitable. “In the current market, there really are two different groups of clients, those who want something brand new and those who want something more traditional,” he said. “Bionic investing is more of an evolution than anything else – it didn’t come out of nowhere. “Ultimately, the ability to talk to people directly is key – without that you are missing something – but it becomes difficult when you have one CIO for hundreds of thousands of clients. Young people are not a demographic that has been typically associated with investment, but more and more people under the age of 30 are starting to take it up. With that has brought a need on behalf of investment firms to change their offering, and redesign their brands in a way that meets the exceptions of their new and growing millennial client base. Giles Keating, who has more than 30 years’ experience with Credit Swiss and is now managing director at investment portfolio management firm Werthstein, explained how his company has gone through this process. “Investing should be more fun and to that end we have designed all kinds of things to help make our communication with clients a better, more engaging process – nothing can afford to be generic anymore in the investment business,” he said. Mr Gandham provided the caveat that while there are solutions an established firm can take, they aren’t always going to get the job done. “You can add a new website to your business and make it really easy to use and nice to look at, but there’s a danger that all you’re doing is dressing up a black cab business – it’s still the same at its heart,” he added. Property markets in the UK have been knocked by political events such as Brexit and the possibility of a radical change in government in the form of Labour leader Jeremy Corbyn. Richard Rogerson, who works principally on advisory mandates for private clients at his firm RFR Property, believes the worry of Brexit is unfounded and won’t have too major an impact on the future of wealth with regards to property. 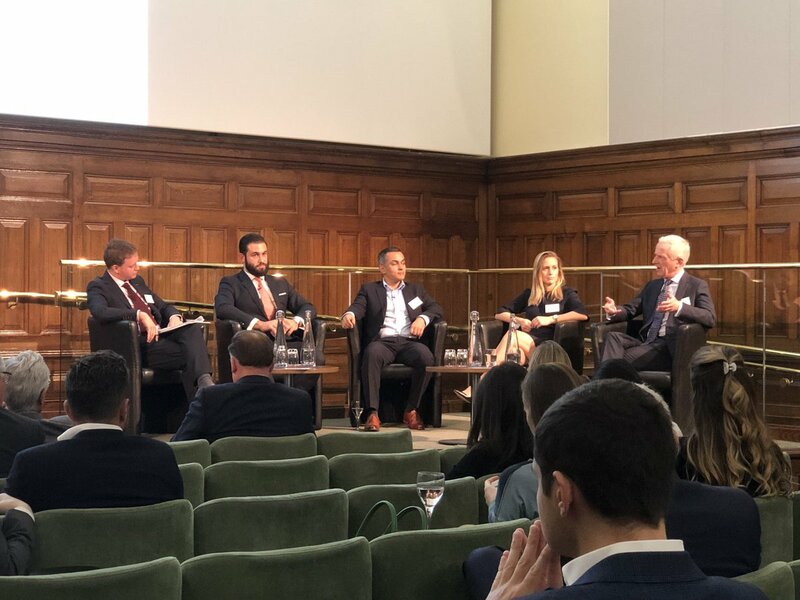 On a panel focusing on the UK property market, particularly in London, he said: “I don’t think Brexit has had, or will have, the impact everyone seems to think – a much bigger thing was the recent rise in stamp duty, for example. “I think Brexit was a big concern just after it happened, but then people sort of got used to it and things settled. Fellow panel member Louise Hewlett, CEO of Louise Hewlett Properties, added: “Anytime there’s a possibility of a major shift in government then people are naturally going to feel a bit worried. Both Mr Rogerson and Ms Hewlett feel the stigma of money laundering involved in the UK and London’s property market is an issue. Whether warranted or not, it has created a sense of unease for those buying and selling property in the country, which has had a negative impact on the property market in a number of ways. Ms Hewlett said: “The possibility of money laundering has become a concern in the property market, but the rules in the UK are so stringent that it’s impossible to buy somewhere without providing absolute proof of the origin of your funds. “As little as five years ago, we could sign off a deal without really knowing the people involved too extensively or where their money came from – but that has really changed now. Brexit and the possibility of Jeremy Corbyn-run government don’t just pose change for the property market, however. Such seismic political shifts have the potential to redefine the economy and the main actors within it, along with their wealth and what they’re able to do with it. Lord O’Neill of Gatley, vice-chairman of the Northern Powerhouse Partnership, which is dedicated to spurring the economy of Northern England, does not feel Brexit is quite worth all the fuss, however. He said: “Brexit is not the most important thing going on in the world at the moment, though it’s often spun as though it is. “We’re still feeling stronger repercussions from the financial crash than we might from even the worst possible iteration of Brexit. “I would describe myself as an objective ‘remainer’, and in all honesty I don’t think the Brexit vote should’ve been put to the public – it’s just too complex. “It could actually turn out to be a good thing, as I see it, because it could force us to do regional economic work that isn’t being done at the moment. On the same panel, Ian Barnard, of Capital Generation Partners, added: “Brexit will have at the very least a small negative impact on the UK and people’s overall wealth – but if it’s handled incorrectly, the consequences could be much worse. “Defining what the future of wealth will look like later down the line in the next few decades is difficult – it doesn’t look like what it did before now, so predicting its future is not easy. Lord O’Neill went on to explain that an economy that’s solely focused on growing financially isn’t a friend to the people it’s supposed to serve. “One of the most interesting things I’ve done in my career is working on the development of a type of antibiotics, which have the potential to save millions of lives by 2050 – lives that, if lost, would cost the UK economy trillions of pounds in lost GDP,” he added. “But priorities are often too financially-orientated for this kind of work. “In America, the big pharmaceuticals have spent many times more money on buying back their own shares than they have on treatment – that’s clearly not right.